You see an ambulance race by, lights blaring, and you sigh. You hope whoever is in it is going to be alright. It’s nice that there is a plan in place for when things really go very wrong. If you find yourself in an emergency, you just call 911 and you’ll be taken care of. However, this isn’t the best course of action if the emergency has to do with your teeth. 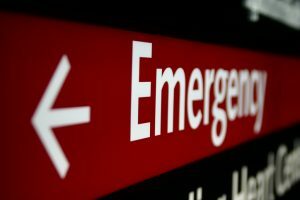 Emergency rooms aren’t equipped to help you, so what should you do, where should you go? Today, Dr. Richard Fossum, your emergency dentist in Temple, wants to help you have a plan should you or your family ever severely injure their teeth. If you find yourself in any of these situations, you need to act quickly so your pain can be relieved, and your tooth can be saved. In any emergency, the first thing you need to do is stay calm. Take a moment to breathe and clear your thoughts so you can focus on taking the appropriate action. You should then immediately call your dentist in Temple. In fact, you should put our number in your phone right now so you don’t have to look it up in the middle of an emergency. When you call in, we will try to make an appointment to see you as soon as possible. Our highly-trained staff will also instruct you on how to apply first-aid. The moments after a dental emergency are critical, so this care is just as vital as what you will get in the office. Keep a broken or knocked out tooth wet. This will help preserve it until we can see you and try to restore it. Place it back in your mouth, or in a container of milk. Rinse the injured area with warm water to reduce the risk of infection. Use a cold compress to help alleviate your pain and limit swelling. If you’ve suffered other injuries such as broken bones, or are bleeding profusely, head to your nearest emergency room immediately. A dental emergency, like any, is very stressful, and taking action quickly is vital to having a positive outcome. We’re ready to be there for you during one of your worst moments, and guide you to the treatment and relief that you need. If you find yourself in any of the situations we listed above, don’t hesitate to call us. If you’d like to know more about what to do in a dental emergency, or how to prevent one altogether, please give us a call today.